Q: UNC Greensboro coach Wes Miller was a former North Carolina guard who led the Tar Heels past Illinois for the 2005 national title. What three-time NBA All-Star did they beat in that game? 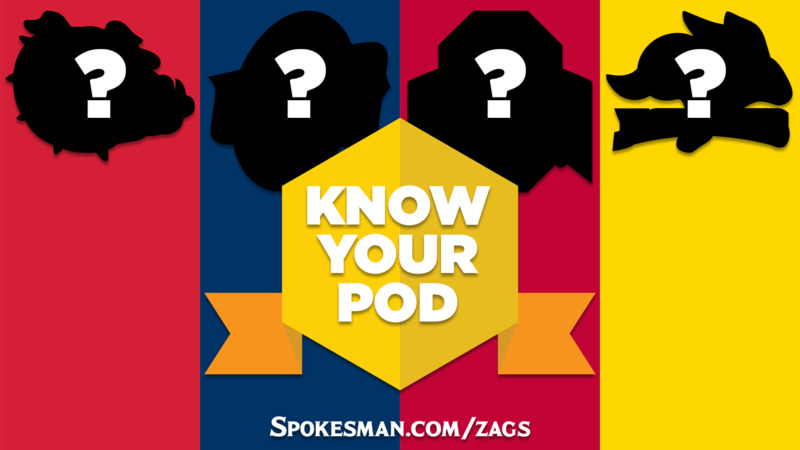 Q: Gonzaga is one of 15 teams in NCAA Division I basketball nicknamed the Bulldogs. Name the other 14. Q: UNC Greensboro, by contrast, is one of five schools named the Spartans. List the other four. Q: Since 2000, Ohio State is one of two schools to have sent both football and basketball teams to national championship games. Which is the other? Q: Only six Division I players have scored 50 or more points in a single game since 2013. Two of those played for one of the schools in this pod. Name the school and name the players. Q: Two of these four teams have met before in the NCAA Tournament – Gonzaga and South Dakota State in a 66-46 win for GU last season. Who was the leading scorer in that game? Q: Which former American Idol star calls Greensboro, North Carolina, home: Adam Lambert, Carrie Underwood, Jordin Sparks or Chris Daughtry? Q: Gonzaga and Ohio State have produced a handful of NBA players over the year. Which program has more active players in the league? Q: Justin Jordan, a reserve guard for UNC Greensboro, is related to a celebrity with the same last name. Is it: NBA legend Michael Jordan, former singer/songwriter Montell Jordan, Los Angeles Clippers center DeAndre Jordan or actor Michael B. Jordan? Q: Josh Perkins needs five 3-pointers in the NCAA Tournament to join eight other Gonzaga players who’ve made 200 in their career. Name four of the other eight. Q: The last time the NCAA Tournament came through Boise (in 2009), Missouri beat Marquette in a Round of 32 game that boasted three future NBA starters. Name one of the three. Q: The J.R. Simplot Company, a Boise-based agriculture giant, is famous for being the primary french fry distributor for what major fast-food chain? A: Butler, Gardner-Webb, UNC Asheville, Louisiana Tech, Yale, South Carolina State, Drake, Fresno State, Bryant, Georgia, Mississippi State, Citadel, Samford, Alabama A&M. A: Jimmy Butler and Wesley Matthews of Marquette. DeMarre Carroll of Missouri. Published: March 13, 2018, 8:21 p.m.